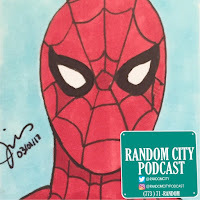 In episode 67 of the Random City Podcast, I share my random thoughts about YouTuber Jazza, (Draw with Jazza), Star Wars Forces of Destiny and the Spider-man films. Check out the Random City Podcast YouTube. This is the first episode to include video of the podcast being recorded. If you would like to support the show, please subscribe to the channel and like the videos.